Today's song of the day is brought to us by Handsome Boy Modeling School from their 1999 release, So... How's Your Girl. This album was ranked by Spin Magazine as the #2 album of 1999. 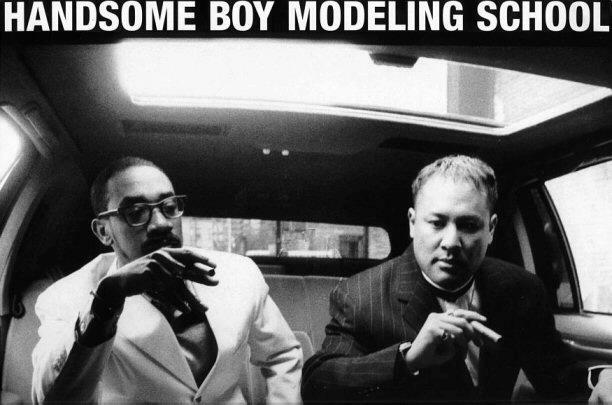 Handsome Boy Modeling School is a collaboration between Dan the Automator, member of Gorillaz & Deltron 3030, and Prince Paul, member of De La Soul & Stetasonic, and has released only one other album, in 2004. This selection has an awesome acid-jazz lounge type feel to it and features guest appearances from J-Live & Roisin Murphy, HBMS utilized some samples from Galt MacDermot's "Coffee Cold." This is definitely something that should help you make it through hump day without a hitch.